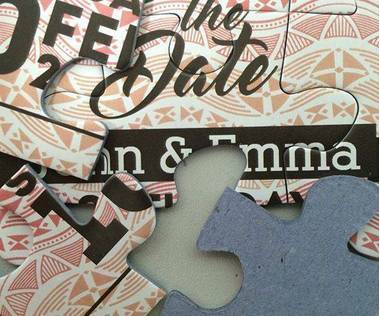 Minimum quantity for "9 piece promotional jigsaw puzzle" is 10. Promotional jigsaw puzzle with 9 puzzle pieces is ideal for promoting your company! Promote your company, services or products with a 9 piece promotional jigsaw puzzle. 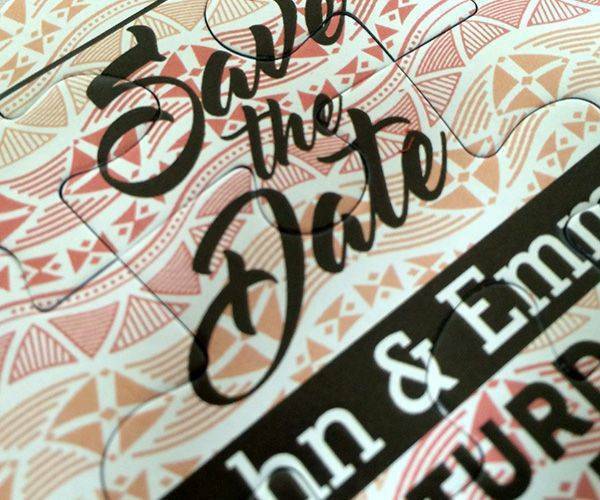 Each of our promotional jigsaw puzzles is packed in a white envelope therefore you can mail them easily to your customers or business partners, also you can use them as giveaways at conference or fair. 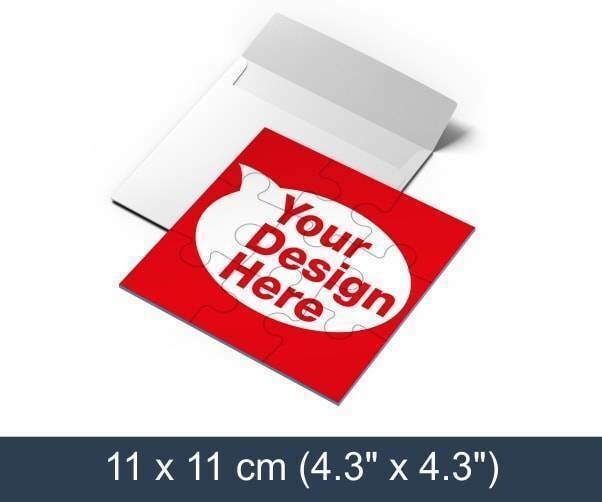 Simply upload your design and select quantity to order a promotional jigsaw puzzles! Setting up a new company can be a stressful time as there is so much that needs to be done. Often it will just seem that everything has been sorted out and you are up and ready to go and then you realise that there has not been anything done about marketing and promotion. This is where a 9 piece promotional jigsaws can be brought in to save the day. All companies will receive flyers that tell them how great other companies are and sometimes there will be a certain deviance from the norm but that is not often the case There could be a postcard sent, or the normal mug, or pen or notepad, but to make sure you are noticed more than the others you need to have something totally different. It is not even going to be that difficult to arrange as it can all be carried out online and the quick turnaround means that the business will not be without marketing for long. To get the ball rolling you just need to send the details you want including and this can be a picture, a design, logo or artwork. Anything that you feel will get you and your company noticed. 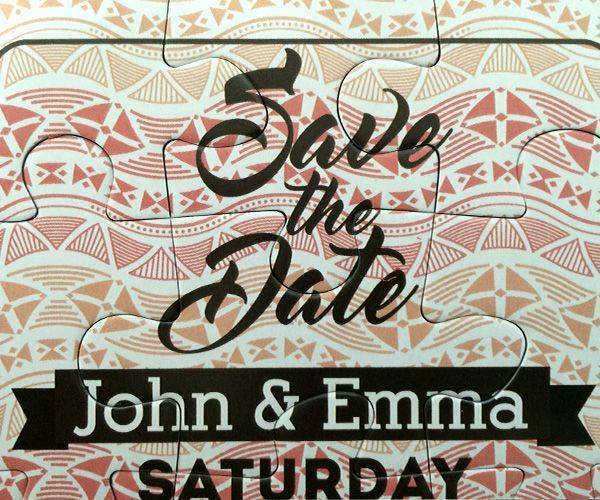 You will need to order at least 10 of these 9 piece promotional puzzle’s, but the reality is that in order to get a good amount of impact you will be planning on ordering many more. The jigsaws are made of cardboard and will stand being passed around an office and handled by a great many people. With the ability to write a special message, you can add anything you want – but each bundle of 10 will have to have exactly the same message. When finished the 9 piece jigsaw measures 4.3” x 4.3” and will be in a white envelope when it arrives. 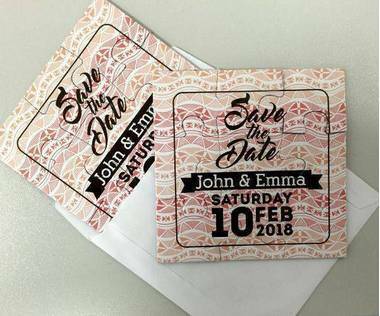 It will be possible to hand out the envelopes or even put them in the post yourself to ensure that they reach the people you most want to have them. It will be a unique and fun way to get your message across to the people who matter.